The 2018 INFINITI Q50 is a compact luxury vehicle offering a vast array of safety features, lots of cargo space and robust engine options. Available trim levels include Luxe, Pure, Q50 Sport and Sport 400. 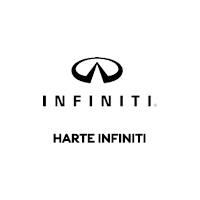 The base engine for the INFINTI Q50 is a turbocharged 2.0 liter four-cylinder engine with an output of 208 hp. Buyers who want more power may want to opt for the Red Sport 400 trim level which comes equipped with a turbocharged 3.0 literV6 engine with an output of 400 hp. Standard interior features include push-button start, satellite radio, two USB ports, a rearview camera, two USB ports an infotainment system and the ability to utilize voice commands and integrate smart phone apps. Optional features include a premium Bose system with 16 speakers, navigation system, moonroof, premium climate control system and advanced safety systems like rear cross traffic alert and a parking sensors. Cargo space for the Q50 models with a V4 engine stands at 13.2 cubic feet while trim levels with the V6 engines stands at 13.5 cubic feet. Available safety features include air bags, 4-wheel ABS, brake assist, ESC, daytime running light, child safety locks and traction control. Contact us if you are interested in test driving the INFINITI Q50 in Hartford, CT.